This is a new spin on the classic mystery games I have created. 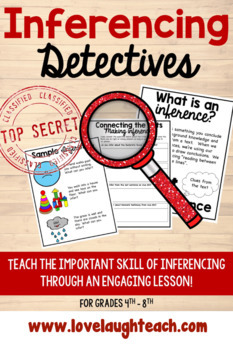 Students will work together to solve the mystery AND learn about inferencing! The material is so fun and engaging, students won't even know they are actually learning! 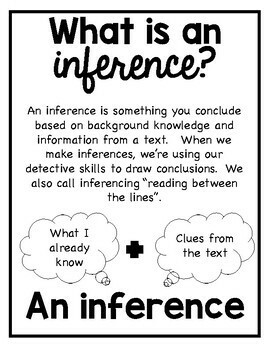 This activity can be used anytime of year and is a fantastic way to get students excited about learning. In this game a valuable jewelry box has been stolen. 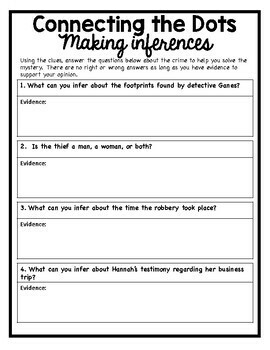 Students must use their inferencing skills to figure out who committed the crime. What skills will we be working on? I would reserve approximately 60-90 minutes for this activity. This depends on your class and how you implement the game. 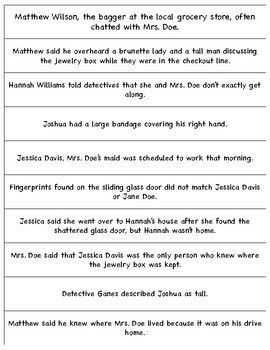 For more fun mystery games, check out the link below!